AMD’s upcoming enthusiast processor lineup based on the Zen architecture would allegedly be featuring special variants aimed at overclockers. The rumor comes from Bitsnchips who are saying that these processors will be part of the Summit Ridge family. The rumor points out that there would be at least one such variant in the Summit Ridge family. The part will feature 8 cores based on the Zen architecture. These special, enthusiast-grade chips would ensure high OC margins but also ship with higher frequencies compared to standard 95W variants. The TDP would remain at 95W for the higher clocked variants given that these are cherry picked. It seems like these variants would be similar to Intel’s “Unlocked” series processors. Intel K-Series chips are also aimed at a similar market however, these are the only chips in Intel Core lineup that can be overclocked. AMD on the other hand, offers unlocked multiplier across all chips. But the special variants would generally be optimized for overclocking and enthusiast use. The desktop lineup based on the Zen architecture will be known as Summit Ridge and is expected to arrive in first quarter of 2017. These chips will be available to a wide range of audience who are planning to build gaming and enthusiast grade PCs. The Summit Ridge platform is very impressive as it rids AMD of their existing and old AM3+ and FM2+ platform. The AM4 platform which will support the new chips comes with a slew of new features and capabilities such as support for the latest DDR4 memory, PCI-e Gen 3.0 and next-gen I/O support. 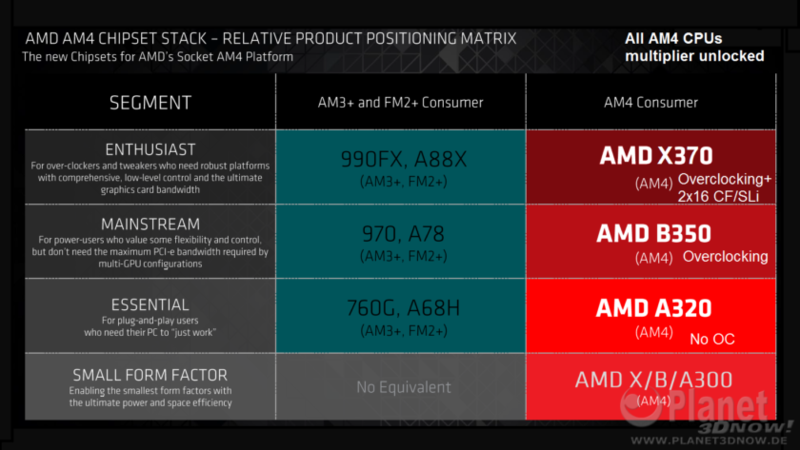 AMD will have several SKUs in the works, ranging from quad core to octa core models. All multi-threaded and featuring overclock support. AMD was very proud to showcase performance parity of their 8 core Summit Ridge chip to be on par with Intel Broadwell-E 8 core part. The Intel part comes at a price of $999 US so AMD will tackle it with a more aggressive price. Those looking forward to building gaming PCs can also expect tons of performance from this platform. In fact, these would be a worthy upgrade if you are planning to get a Vega GPU next year which will be coupled with HBM2 memory. The X370 platform would be recommended to overclockers and enthusiasts who want to try out these overclock-aimed Zen processors. We should also remember that AMD has previously tried to sell higher clocked Piledriver chips (FX-9000 Series) to enthusiasts. These chips were faster clocked variants with high clocks, high TDP and high prices. 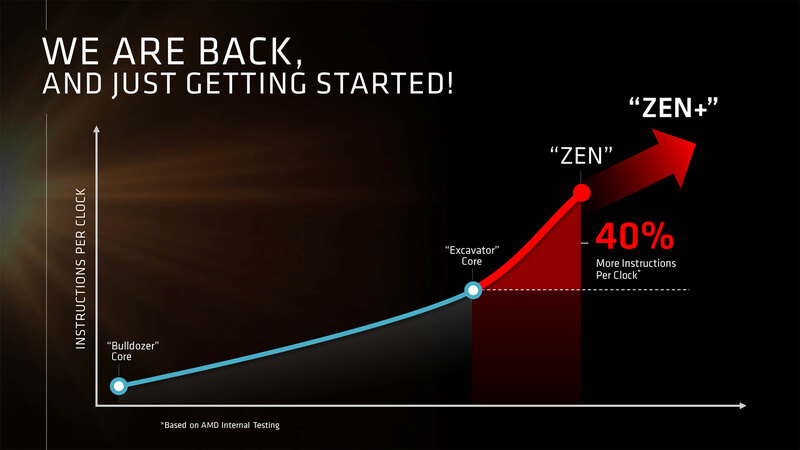 They didn’t turn out to be a massive success and AMD is expected to do better this time around with Zen. AMD can follow Intel’s footsteps who have seen a general year-to-year success in sales with their “K” series products.